One of the great things about fancy new cell phones is that they tell you the location of callers. I suppose they’ve done this for quite some time, but I only joined the 21st century late last year when, after 16 years of mediocre flip phone service, I reluctantly upgraded to an Android phone. This came in handy earlier this week when I saw that I had an incoming call from Austria. I don’t know anyone from Austria or in Austria. In fact, the only people I know of from Austria are Mozart, Emperor Franz Joseph, Archduke Franz Ferdinand and Hitler. It seemed unlikely any of them would be phoning, so I ignored the call, just as I ignore any number I don’t recognize. In retrospect, I missed a chance to try out my puerile German. While I speak extremely poor French, my German is utterly abominable, consisting of “Guten Tag,” Guten Morgen,” a couple of rudimentary sentences and the occasional derogatory remark. I figure given my lack of contacts in Austria, it was most likely a telemarketer, so why not try out a little foreign invective, even if I was addressing someone I didn’t know with the casual form of the verb “to be.” They were calling me, after all. Of course, they probably wouldn’t have understood me and simply hung up, but hey, I would have gotten a chuckle out of it. “Sticking it to those damn telemarketers!” That sort of thing. We take our victories where we can get them. Speaking of the word Schweinhund, one has to admire the Germans’ ability to level an insult. 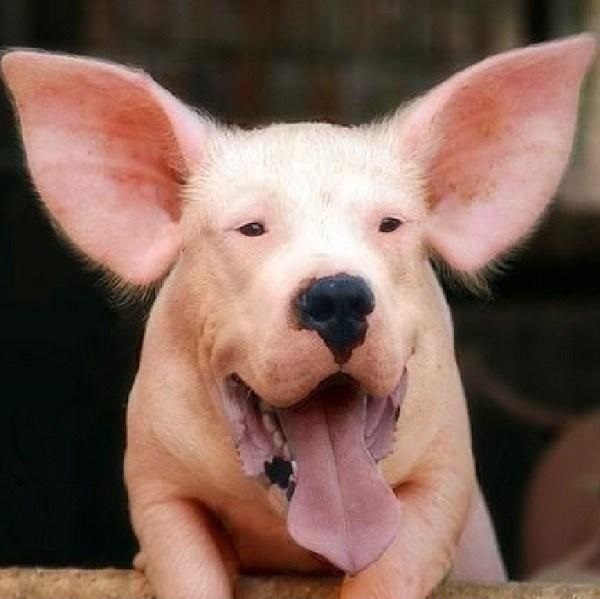 Not just a pig, not just a dog, but a pig-dog. I’ve seen dogs that act like pigs, but I don’t think that’s what Schweinhund is all about. My daughter, drolly: “My dad uses it, often while driving.” It made the exchange student’s day to hear an insult in her native tongue. I wonder if my daughter, were she studying in, say, rural Romania and had a Romanian friend ask if she knew the word “jackass” would light up similarly? Over the past couple of years there has been increasing distrust of the media, evidenced most clearly by the tag line “Fake News” that are often appended to stories which are in reality little more than an opposing viewpoint. Some media consumers, unfortunately, are unable to differentiate between stories which occasionally report erroneous information inadvertently and the idea that journalists are purposely misreporting information to undercut those whose politics they disagree with. Yes, some journalists, particularly those working at high-paying positions in the nation’s media centers, tend to be insulated in a world which is far different from that of most middle- and lower-class individuals, which results in an echo chamber of sorts. But for those who believe that today’s media is intentionally lying in what they report, one need consider the media of the past. Among the best-known examples is the sinking of the USS Maine in 1898. Newspaper publishers Joseph Pulitzer and William Randolph Hearst ginned up false articles about a plot by Spain to sink the ship in Havana Harbor, helping precipitate the Spanish-American War. Wartime, at least in recent decades, has proven to be a breeding ground for baseless media reports, perhaps in part because censorship has been doled out with a far heavier hand as the world has become more literate. In World War I, for example, newspapers from both Entente and Central Powers nations created stories out of whole cloth, including fictitious stories about major battles, well-known warships being sunk and key military and political figures being killed. Of course, as Hastings points out, no one of these stories contained the smallest element of truth. Was it malicious, reporting on rumors, wishful thinking, or simply journalists looking to fill space? One hundred-plus years later it’s hard to say. 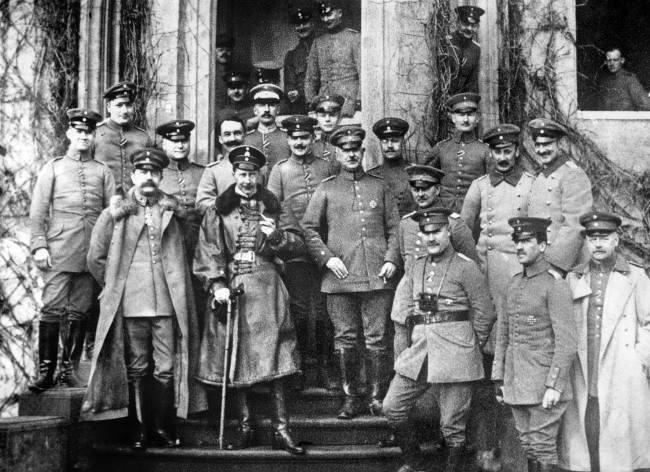 Despite French media reports to the contrary, Wilhelm survived not only World War I, but also World War, living until 1941. Today, unfortunately, there are those who believe what they want to believe when it comes to the media. For the rest of us, a healthy dose of skepticism and an understanding that no journalist wants to go hat in hand to his or her editor and tell them their outlet needs to run a correction should be of assistance in keeping one’s composure when the news rubs one the wrong way. Enter this under: Things to do to torment my children. An unattended Chinese toddler locked his mother’s iPhone for nearly 47 years earlier this year after repeatedly entering the wrong passcode while playing with it. The phone was given to the youngster to watch education videos but when the mother, who was only identified by her surname Lu, came home, she was horrified to find that the phone had been locked until the year 2066. 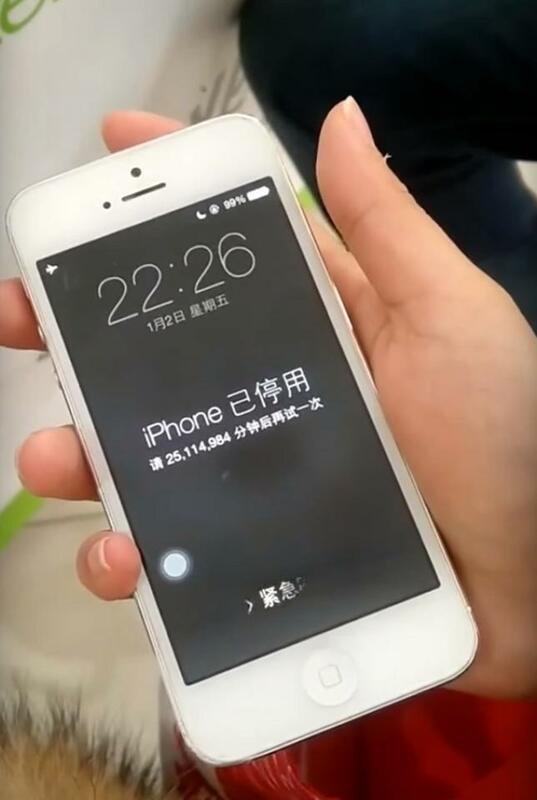 “iPhone is disabled, try again in 25,114,984 minutes,” the phone notification read, according to the Global Times. When Lu took her phone into an Apple store in Shanghai, Wei Chunlong, a technician, told her she could either choose to wait a few years before attempting to re-enter the passcode or reset her device, which will cost her all data not yet uploaded to the cloud, added Newsweek. And I’ve been getting a good chuckle out of locking my girls’ phones for five minutes when they leave said devices unattended. I look like a bush leaguer compared to this Chinese toddler. Louis Trezevant Wigfall was, by nearly all accounts, an irascible sort, but one not unknown in South Carolina’s antebellum Edgefield District, which was a Wild West before there was a Wild West. Born in Edgefield in 1816, Wigfall was born of into a planter family and attended South Carolina College and the University of Virginia, but breeding and education did little to mellow his countenance. He was ardent proponent of the institution of slavery, and as a young man “he neglected his law practice for contentious politics that led him to wound a man in a duel (and be wounded himself) and to kill another during a quarrel,” according to the Texas State Historical Association. 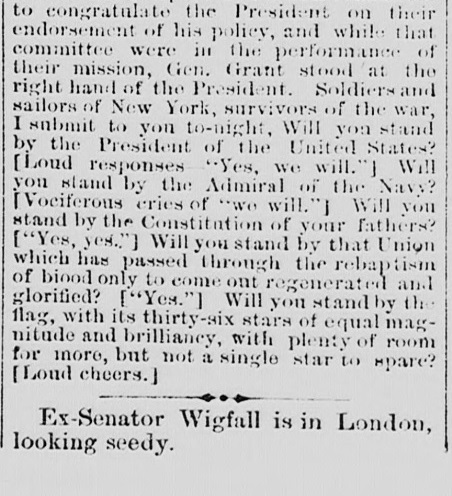 Perhaps having worn out his welcome in the Palmetto State, Wigfall moved to Texas in 1846, almost instantly becoming active in Lone Star State politics, including “alerting” Texans to the dangers of abolition and the growing influence of non-slave states in the US Congress. 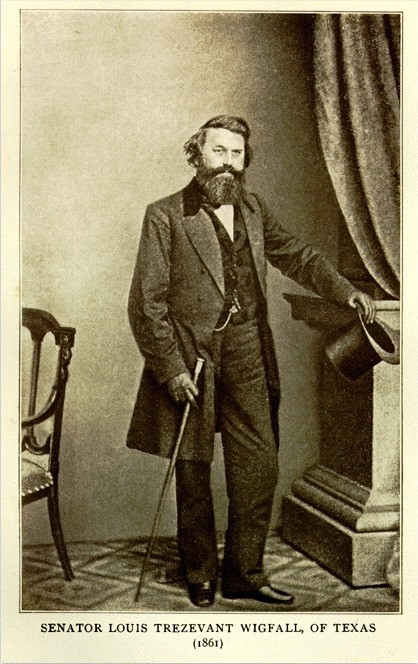 After several years in the Texas state legislature, Wigfall capitalized on the fear caused throughout the South by John Brown’s raid on Harper’s Ferry in 1859 and was elected to the US Senate that year. He quickly gained a reputation as a leader among the “fire-eaters” – leading secessionists – taking his advocacy for slavery and against expanding the power of national government to the national stage. Following Lincoln’s election to the presidency in 1860, Wigfall coauthored the “Southern Manifesto,” which stated that the Union was irretrievably broken and that the only hope for the South was independence. “Wigfall helped foil efforts for compromise to save the Union and urged all slave states to secede,” according to the Texas State Historical Association. He appears to have lacked the chivalric manners evident in other key Southern figures of the era, remaining in the US Senate after Texas seceded, spying on the Union, chiding northern senators, and raising and training troops in Maryland to send to South Carolina. Even while serving as a US senator, he took part in the Confederate bombardment of Fort Sumter by rowing out under fire and dictating unauthorized surrender terms to federal commander Robert Anderson. He was finally expelled from the Senate in mid-1861. Later that year he became a Confederate officer and promoted to brigadier general before resigning from the army to take a seat in the Confederate Senate in 1862. Initially, Wigfall supported Confederate President Jefferson Davis, but, perhaps not surprisingly, he quarreled with Davis before long. During the last two years of the Confederacy Wigfall carried on public and private efforts to strip Davis of all influence. He also blocked the creation of a Confederate Supreme Court, fearing Davis’ justices would interfere with states’ rights, according to the National Park Service. Far from being a pragmatist, he opposed the arming of slaves and was willing to lose the war rather than admit that blacks were worthy of being soldiers. As the small clipping from the Sept. 20, 1866, edition of Columbia Daily Phoenix makes clear, he had lost most, if not all of the stature may have once possessed. Wigfall, who returned to US in 1872, returned to Texas in 1874 and died in Galveston on Feb. 18, 1874.